If you are looking for information on the Phenix Salon Suites franchise business opportunity, Phenix Salon Suite franchises or Phenix Salon Suites franchising, then you have come to the right place. The Salon Suite concept is the hottest concept in the $60 Billion Dollar Salon Industry! 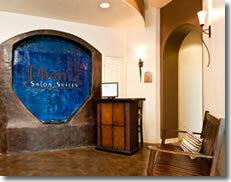 Phenix Salon Suites is the premier provider of Salon Suites. You now have the opportunity to capitalize on the $60 Billon Dollar recession resistant Salon Industry with no Salon experience needed. Phenix Salon Suites was founded by a family of Salon Professionals with over 40 years of experience in the Salon Industry. 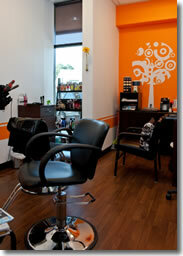 Salon Professionals use to only have two choices to provide their services to customers. One was to work on a commission basis and take home about 40% of their earnings or to work under a booth rent situation and still answer to a Salon Owner. Phenix Salon Suites pioneered a new vision in 2007 and that was to give Salon Professionals the opportunity to run their own Salon Business at a fracture of the cost it takes to open a full fledge salon and for about the same amount is cost for "Booth Rent". The concept was an immediate success and the founders began to expand their locations. You NOW have the opportunity to capitalize on this exciting concept and gain financial freedom. The Salon industry is a recession resistant $60 Billion Dollar industry. A Phenix Salon Suites Franchise gives you the unique opportunity to capitalize on this industry with absolutely no salon experience needed. You can now take control of your future and grow your own business. Spend more time with your family and enjoy financial freedom. Work smarter and not harder - most locations can be run by absentee owners. "A Phenix Salon Suites Franchise"